Velji Rathod in Gandhinagar and Pedapudi Vijay Kumar in Parchur may be close to 1,500 km apart, but their intentions are similar. New Delhi: With voting for the first phase of the 2019 Lok Sabha elections set to begin in less than a week, political parties are spending a large amount of time and money to make sure voters remember their candidates’ names. In two different parts of the country, though, are two candidates who are contesting to make sure people remember something else – a loved one they lost to caste oppression and state violence. Velji Rathod’s son Mehul was one of three Dalit youth killed in Gujarat’s Thanagadh in 2012, when police opened fire during a clash between members of the Dalit and OBC Bharwad communities. He has decided to contest the 2019 elections from the Gandhinagar Lok Sabha seat, against Bharatiya Janata Party president Amit Shah. Rathod filed his nomination as an independent candidate on Thursday. By contesting, he said, he wants the ruling regime to know that justice has been delayed for the family members of Pankaj Sumra, Prakash Parmar and Mehul Rathod. The three young men were killed in police firing on the intervening night of September 22 and 23, 2012. The state government had ordered a probe into the incident and a report had been submitted by the then principal secretary of social justice and empowerment department, Sanjay Prasad. However, the report has not been made public so far. Four police officials were accused of firing that led to the killing. However, the CID, which probed the case, had filed a ‘C-summary’ report, closing the case without any conclusion. “We have been fighting for the last six years to seek justice for my son and two other victims of police excesses, but till date the culprits have not been punished. No chargesheet has been filed against the accused police officers,” Rathod said. He said his decision to contest election against Shah from Gandhinagar seat was a deliberate one. “I want to send out a message of how the government led by his (Shah’s) party delayed justice to the families of the victims of the government excesses,” Rathod said. “We had held a dharna in Gandhinagar and tried to press for our demand for justice, but the BJP government turned a deaf ear. I visited members of Dalit communities in Gandhinagar Lok Sabha constituency and sought their opinion on whether I should contest the election. As most of them agreed, I jumped into the fray,” he said. According to Rathod, independent MLA in Gujarat Jignesh Mevani has extended his support to him and agreed to campaign for him. “I talked to Mevani, who said he is currently campaigning outside the state. But he has agreed to campaign for me when he comes back,” he said. Hundreds of kilometres away in Andhra Pradesh, in the Parchur constituency, Bahujan Samaj Party candidate Pedapudi Vijay Kumar too has similar intentions. He was one of the four students expelled from the University of Hyderabad along with Rohith Vemula. According to Kumar’s election affidavit, The News Minute reported, he is unemployed and has zero moveable and immoveable assets. The affidavit also says that Kumar has no cash in hand, no investments or deposits, hasn’t taken a single loan till date, owns no motor vehicle or jewellery, and doesn’t own any land. 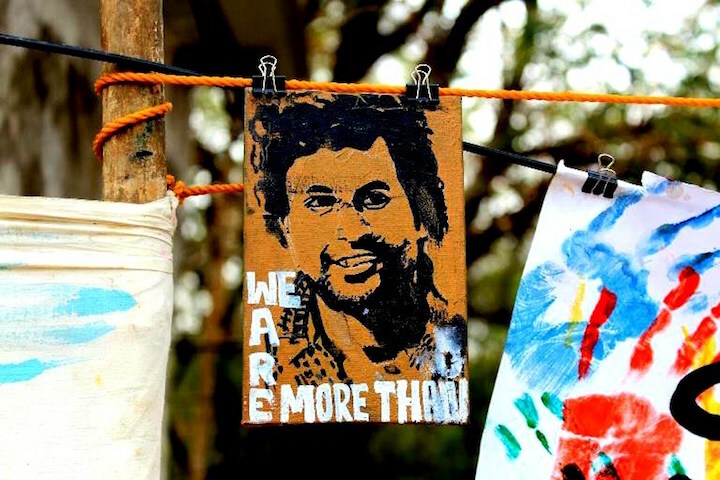 Kumar had been one of the leaders of the ‘Justice for Rohith’ campaign after the PhD researcher’s suicide.